This document explains how you can start using World Editor. It provides information about all the gizmo properties and system settings. In this chapter we will take a look at how the gizmos work and all the properties which can be modified for each gizmo. We will also talk about transform spaces and transform pivot points. translation discussed above or vertex snapping etc. When a special operation is being performed, a square will appear in the center of the gizmo. I will be referring to this as the special operation square or special op square for short. The move gizmo can be used to greatly speed up mesh surface placement. With it you can place an object (or collection of objects) on the surface of a mesh and also align the objects' axes to the surface normal. SPACE + LCTRL – with this combination the object(s)' positions will be snapped to the surface, but no axis alignment will be performed. 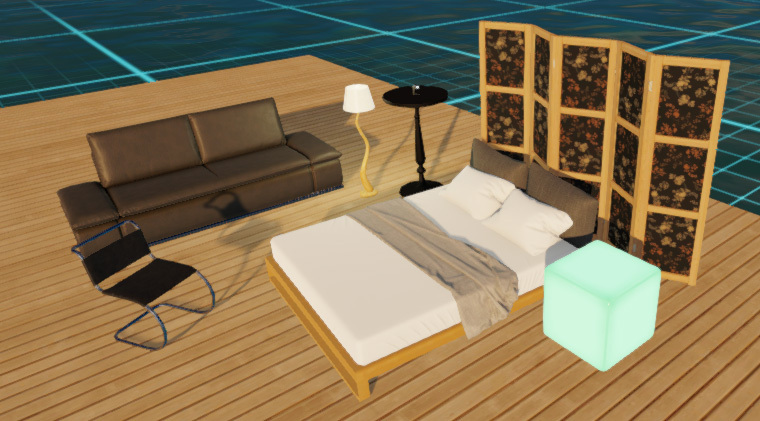 Note: In this case, because no axis alignment is done for the bjects, the objects will most likely become embedded inside the surface because the system no longer knows how to offset the object accordingly since no reference axis is specified. 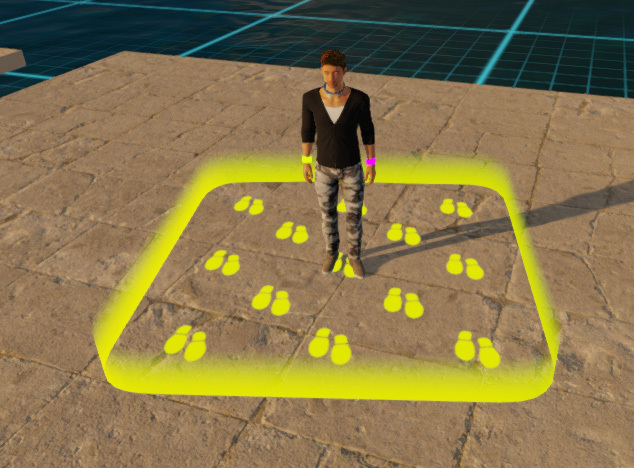 The move gizmo can also be used to place and align objects on the grid surface using the same combination of keys discussed previously. Note: Grid placement will only be performed if the hotkeys are active and if no terrain or mesh object is hovered by the mouse cursor. The translation gizmo supports 3 types of snapping: Step, Vertex Snapping and Box Snapping. Step snapping allows you to perform translations in increments of a specified step value. For example, if the step value is set to 1, this means that a translation is only performed when the accumulated translation amount is >= 1. In order to use step snapping, you have to keep the CTRL button pressed and then manipulate the gizmo as you would normally do (using the axes or the squares or pressing the SHIFT key to translate along the camera right and up axes). Press the V key on the keyboard and then move the mouse around to select one of the vertices of the selected game objects. This is the vertex that will be snapped to the destination position. Once you found the vertex that you are interested in, press the left mouse button and move the mouse around to snap the selected objects. The objects will be snapped to the vertex which is closest to the mouse cursor. This works in the same way as vertex-to vertex snapping, but this time the source vertex will be snapped to one of the grid's cell corner points. 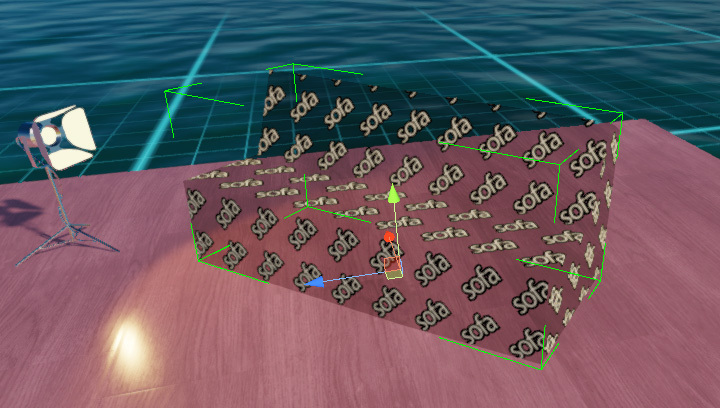 Works in the same way as vertex snapping, but it applies to the center and corner points of the objects' bounding box. 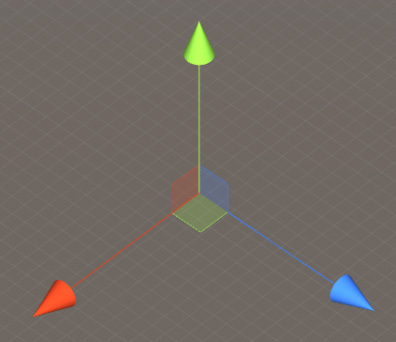 The rotation gizmo has 3 colored circles that can be used to rotate around a single axis. You can rotate around a single axis by clicking on one of the circles and then start dragging the mouse. As you can see in the image above, there is also an outer circle (the one which encloses the rotation sphere and which is also slightly bigger). Clicking on this circle and then dragging the mouse will allow you to rotate around the camera view vector. 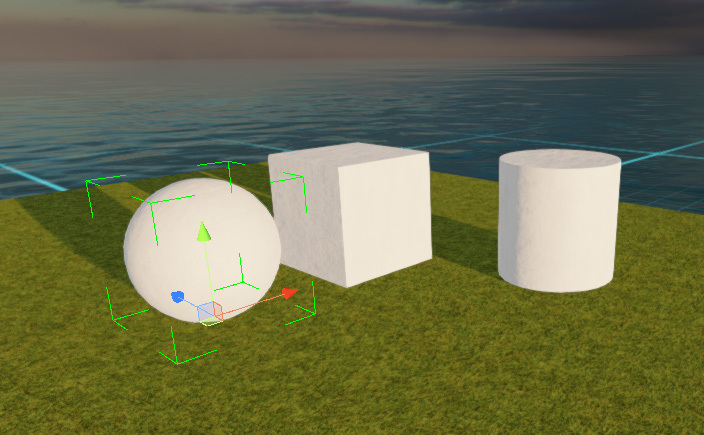 If you click on a point on the imaginary sphere (not on any of the components that we have discussed so far), you will be able to rotate around the camera right and up axes. only when the accumulated rotation amount is >= 15. In order to use Step snapping, you have to keep the CTRL button pressed and then manipulate the gizmo as you normally do. 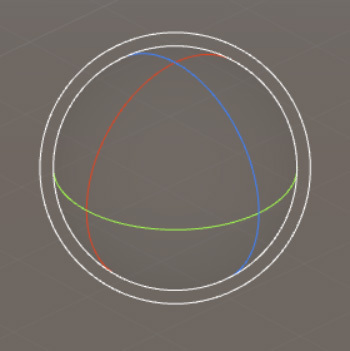 Note: Step snapping works only when you are using one of the 3 colored circles. The scale gizmo has 3 colored axes. Clicking on of these axes and dragging the mouse, will perform a scale operation along the specified axis. As you can see in the image above, there are also 3 multi-axis triangles. Clicking on one of these triangles and than dragging the mouse, will perform a scale operation along 2 axes at once. If you want to perform a scale operation along all axes at once, you have to keep the SHIFT key pressed and then drag the mouse around. The scale gizmo supports Step snapping which allows you to scale in increments of a specified world unit amount. For example, if the step value is set to 1, a scale operation will be performed only when the accumulated scale is >= 1. In order to use Step snapping, you have to keep the CTRL key pressed and then use the scale gizmo as you normally do (drag the axes or the multi-axis triangles or press SHIFT to scale along all axes at once). The volume scale gizmo is another type of gizmo which allows you to perform object scaling, but it works a bit differently than the standard scale gizmo. Instead of using axes that can be dragged, you can use handles to resize an object. This in combination with the step snapping functionality can provide a much more intuitive scaling interface in some scenarios. The gizmo is composed of 6 drag handles which can be dragged to scale the object. There are 2 drag handles for each axis. Dragging one of them will scale along the corresponding object local axis. When you drag,the size and position of the object will be affected. Holding down SHIFT before dragging will cause the scale to happen from the center of the object. This key can be modified from the gizmo's inspector. Note: The volume scale gizmo only works when a single object is selected and that object has to have a mesh attached to it. When more than one object is selected, the gizmo will be hidden. If you hold down LCTRL while dragging the handles, the gizmo will scale the object in increments of a specified step size. In fact, this is the Translation Gizmo. But it works as if the Space button is constantly pressed (Mesh Surface Placement mode). P → toggles the transform pivot point between Center and MeshPivot. LALT – activate move scale. LSHIFT → while held down, allows you to perform a scale operation along all axes at once. LCTRL → while held down, allows you to add objects to the current selection. For example, you can hold down this key and click on individual game objects to add them to the selection or drag the mouse while the left mouse button is pressed in order to add objects to the selection using the object selection shape. 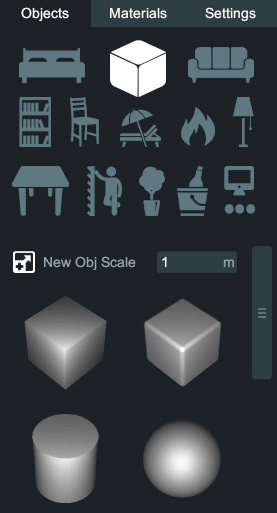 If this key is not held down, when you select new objects, the previous selection is cleared. Note: If you click on a game object while this key is pressed and the game object is already selected, it will be removed from the selection. LSHIFT → while held down, allows you to deselect multiple objects using the object selection shape. Saves only selected objects to file. This option is useful when you want to save and share only a part of your world or a group of objects. Example being if you created your own structure and just want to share the structure only, rather than the entire layout of your world. Loads world layout from file. Your current layout will be lost. Appends objects from file to your current layout meaning you can add specific created designs with objects to your layout without replacing the entire layout. This is related to 5.2. Deletes all objects from your layout. You cannot undo this action. Loads default layout from the server. Your current layout will be lost. These are only a temporary option that provides backwards compatibility with the old room format (.dat files). You can open the old layout format in the World Editor and use or save it in the new format so you don't lose it. This older format will be removed in a later patch, due to no longer being used. 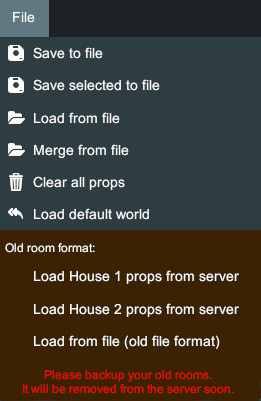 Loads House 1 objects. Your current layout will be lost. Loads House 2 objects. Your current layout will be lost. Allows you to undo or redo some changes and actions. Copy or delete selected objects. Toggles the Global/Local transform space. Toggles the transform pivot point between Center and Mesh Pivot. Moves the camera to focus on selected objects. 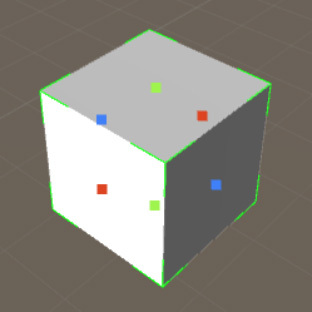 Applies colors to block objects (primitives). Group and Ungroup objects. If the objects are grouped, you can easily select the whole group by clicking on one object from the group. If the group of objects is selected, then you can select one object with the second click. This allows you to work with an object within the group without ungrouping. Enable or Disable step and angle snapping. This section explains the difference between object types. All objects are divided into categories so that they are easier to find. You can switch categories using the category icons. 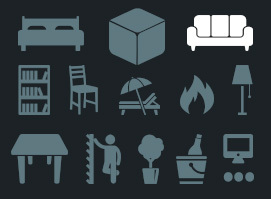 Objects are divided into types depending on their use. Blocks (or primitives) are the basic type of object shapes. They are designed to build your worlds foundations. You can move, rotate, and scale these objects. And also apply color and materials to these how you wish. 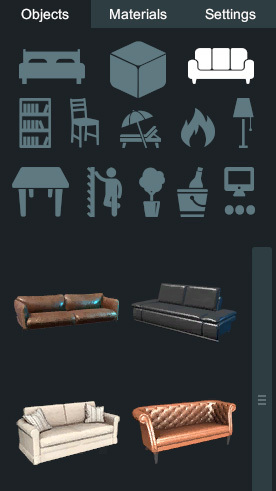 Most of the objects are furniture type. Characters can use different animations on these objects. These objects cannot be scaled. 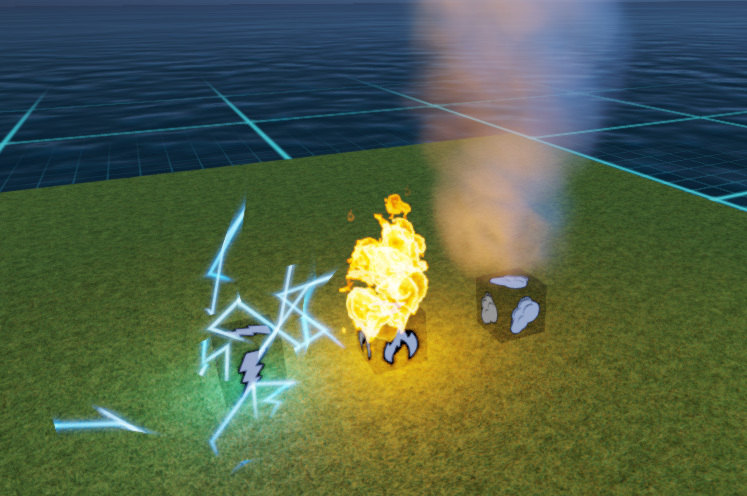 Visual effects such as fire, smoke, electricity. 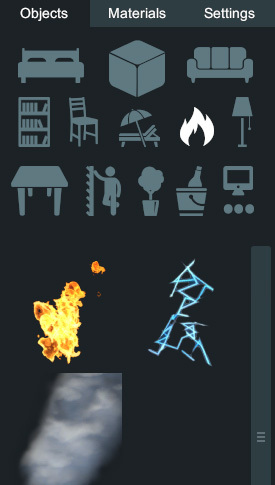 If you want some place in your world to function like furniture, then use the necessary animation triggers. These objects are invisible and indicate which set of animations the character will use with it. This object determines the starting position of the characters in your world. This object cannot be deleted or copied, it can only be moved. 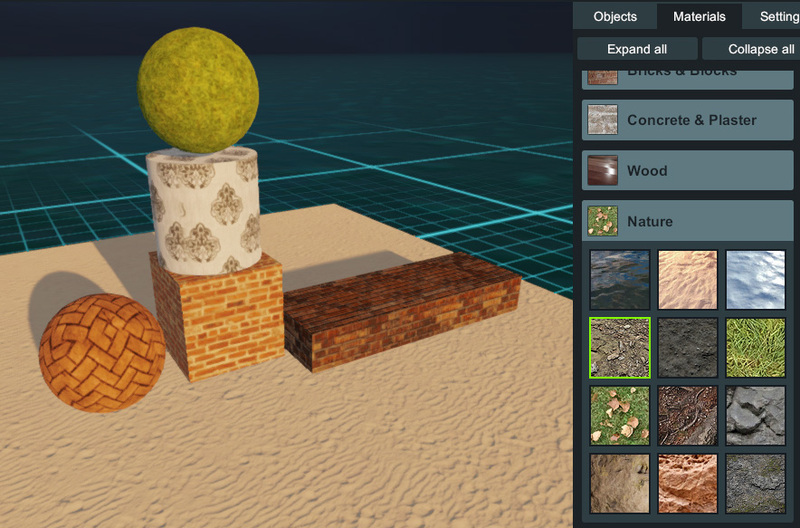 You can apply materials only to objects of the block type. To apply a material, first select the objects. Then click on the material icon on the materials tab.